It’s easy to forget that for a nine-month window between the 9/11 attacks and the summer of 2002, public anxiety about the Middle East didn’t have anything to do with Iraq. In August of 2002, the Bush administration deftly re-framed the national conversation by emphasizing the threat posed by Saddam Hussein and his possible possession or acquisition of weapons of mass destruction, and the need to invade Iraq to mitigate that threat. Before that time, however, public anxiety coalesced around fears of an unfamiliar enemy, al-Qaeda, and the possibility that shadowy terrorists might somehow slip a nuclear weapon into a major American city. Often left unstated, these fears were deep. In the middle of that window, gay rights groups broke the news that the U.S. military had fired 7 Arabic linguists for being gay, including at least one top performer who was among the best students at the Defense Language Institute. The news spread like wildfire, and opinion-leaders expressed shock that the military could do something so stupid. At the time, the public was well aware that U.S. intelligence agencies had intercepted at least one cable warning of the September 11 attack, but the cable had not been translated because of the shortage of Arabic linguists. The day when the news about the gay Arabic linguists broke was the day that defenders of “don’t ask, don’t tell,” the law that prevented gays, lesbians, and bisexuals from serving openly in the military, lost the American people. Forever. By the time “don’t ask, don’t tell” was repealed almost a decade after the first media coverage of the gay Arabic linguists, there was not a single editorial board in the country – not one – that supported the policy. Aside from a few extremists, no one took the argument that gays undermine the military seriously. Public support for repeal hovered in the 70 to 80 percent range, and included a majority of Republicans. 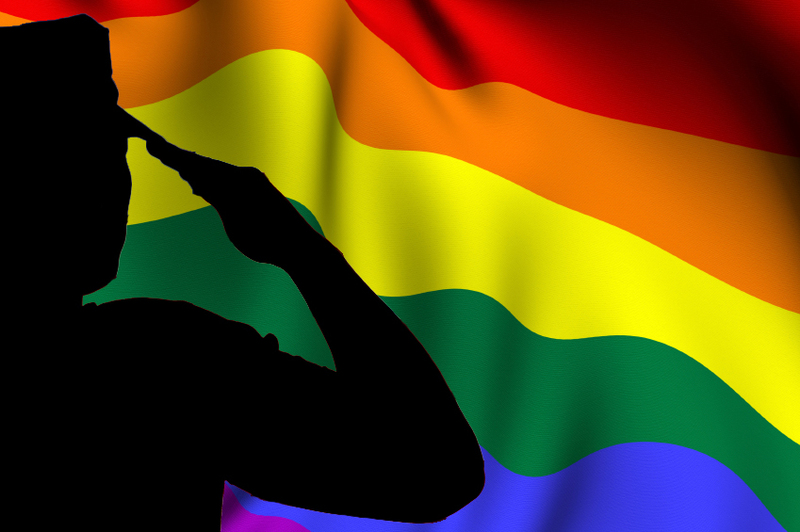 Changing the public’s mind about the central idea that justified the ban – the notion that gays hurt the military – was not sufficient for leading to political change. But it was a necessary step, because before we started this public education campaign, it was conventional wisdom among a large swath of the public that even if firing gay troops was unfair, it was necessary to preserve military effectiveness. Of all the various tactics and stories that gay rights groups used to change the public’s mind, nothing was more salient than the story about gay Arabic linguists. Nothing better illustrated the way that discrimination hurts the military, not gay troops. Nothing better underscored the folly of discrimination than the news that the military was systematically firing desperately needed Arabic linguists because they were gay. During a “Daily Show” interview with a defender of “don’t ask, don’t tell,” Jason Jones said, “I can see why you’d rather die in a nuclear explosion than take an uncomfortable shower with some gays,” to which the interview respondent answered, “yes.” Communications had changed minds and changed lives. As part of the decade-long campaign to educate the public and opinion leaders about the costs of military anti-gay discrimination, I had a front-row seat to a lot of strategizing about how to communicate, and about what worked and what didn’t. And along the way, I developed some impressions about what were, in my opinion, communications mistakes that NGOs tended to make again and again, and communications opportunities that they failed to appreciate and leverage. In a series of blog posts with The Communications Network over the next year, I will share the lessons that I learned, in part because I hope other non-profits can use the tools that worked for my organization, and in part because I’d like to hear from readers whether they believe that the strategies that worked so well to change the public’s mind about gay troops would work in their issue areas. Please stay tuned for more. Aaron Belkin is a scholar, author, activist, and dancer. He has written and edited more than twenty five scholarly articles, chapters, and books, and he designed and implemented much of the public education campaign that eroded popular support for military anti-gay discrimination. After the military’s gay ban was overturned, Harvard Law Professor Janet Halley said of Belkin, “Probably no single person deserves more credit for the repeal of ‘don’t ask, don’t tell.’” Follow him on Twitter at @aaronbelkin.